We offer our R&D service on a consultancy basis. Thereby, you choose whether you need help for the whole process of turning your idea into a product, or just need assistance for a part of the project. All projects start with a meeting where we can discuss your idea. Hereafter, we divide the process into four phases. Our team consists of very experienced engineers with more than three decades of experience with developing products. Our experience is a great asset for your project as it will minimize costly re-designs and prolonged time-to-market. 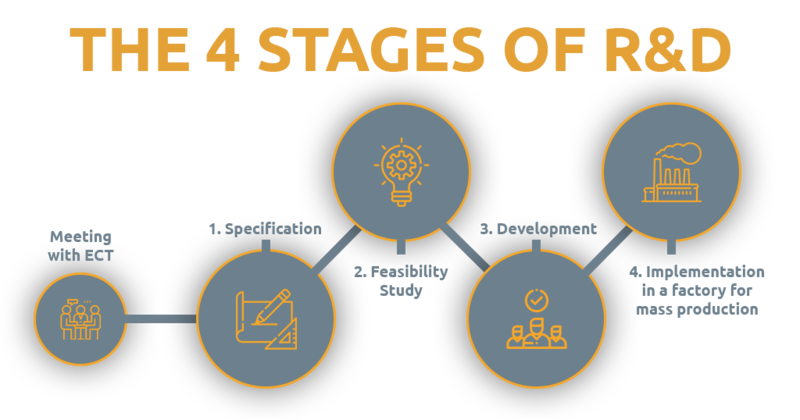 We use our know-how to consider all aspects of a project in the early stages of the R&D process. In order to start a product development process, we have to start by doing a Design Specification. We create a document with the specifications of the product, which are technical and detailed enough for our engineers to create the product. The document describes all functionalities, user interfaces, features in general, forms and a like. We conduct studies in order to figure out if it is possible to develop this idea in a technical perspective. We focus on the points having the highest risk. An important part of the product development phase is to make the design work. We are always paying attention throughout the entire development process in order to avoid costly re-designs. We have an extended knowledge about multiple manufacturing processes so we can apply the correct solutions for the client. Our team of engineers consists of hardware and software specialist. We work primarily with embedded solutions. Our software engineers are programming in C and C++. Our hardware people take care of PCB designs for embedded systems and are experts in wireless communication technologies with RF in the microwave area. When a new product is developed there is a great chance the factory will need a tool or several to mass-produce the product. We can make the tooling and test equipment for production. We make sure the product is without serious errors by testing and debugging the product. This part is import in order to avoid launching a product not being ready and thereby we can optimize time-to-market. All electronic products have to meet certain regulatory demands. This must be verified once the product development is finished. We take these demands into account at an early stage of the R&D process in order to avoid costly re-design, and to optimize time-to-market. Installing a product for mass production in a factory calls for well preparation. Hardware and software must be developed to support the shortest possible assembly time – and cost. We carefully define the factory tests, to make sure that the product meets specifications, spending the shortest possible test time. Often this require developing a special Factory Test Equipment. Technology changes all the time, and the same counts for wireless communication technologies. We are always doing our best to guide you to choose the most suitable wireless communication technology for your new product. 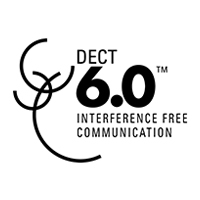 We are experts in telecommunication and are excellent in making products with full duplex communication.